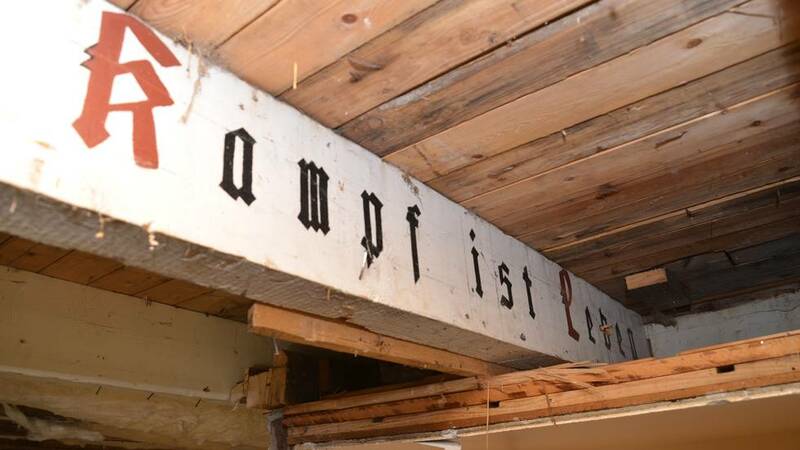 When Frode Ellingsen was renovating the basement ceiling, a wooden beam with the Nazi slogan “Kampf ist Leben” (“To Fight is to Live”) appeared. Under his lawn is a German bunker, and one theory is that the house in Bergen has been used as a guardhouse for German soldiers during World War II. The previous owner, Kjell-Ove Hordvik, denies this to Bergens Tidende. – It was my grandfather who built the house around 1950 (…). He used materials from two German barracks that recently had been demolished. So the wooden beam originates from one of them, he says. Adviser at the Cultural Heritage Management Office in Bergen, Stein Hevrøy, says that this sounds plausible. – This is probably correct. The house is probably from the 50’s, and at that time it was typical to recycle old materials. After the war, there was great shortage of materials, he says. Halvor Sperbund, author of several books about World War II, tells newspaper Åsane Tidende that the elaborate slogan on the wooden beam can be explained by the fact that many soldiers were artistic. He believes the text confirms what is mentioned in German reports, about fighting to the last man. Sperbund believes the property has been a part of Tellevik coastal fort, which is located approximately one kilometer away. 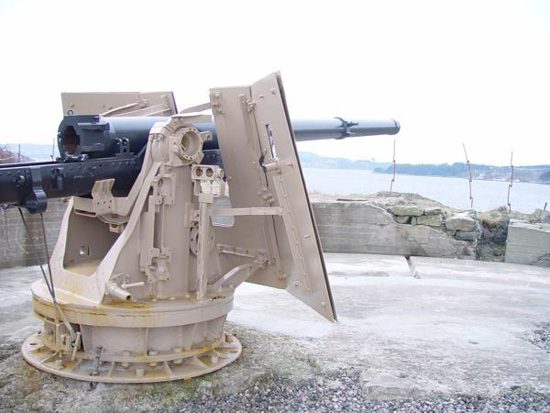 Tellevik coastal fort (German: Batterie Tellevik) is a German coastal fort from World War II, built nearby Bergen. The project was started in 1940 and continued until the war’s end. Much of the work was carried out by Russian prisoners of war. Tellevik coastal fort was part of Festung Bergen. It was originally staffed with four cannons and two anti-aircraft guns, over 20 concrete bunkers and several buildings. Interesting discovery of historic relic and a reminder of darker days of the twentieth century. As I will be visiting Bergen, the Tellevik coastal fort may be an interesting place to visit.